How are all of you doing?Well the summers are officially over but its still hot.Do you think of fresh cool fruit when you think of summers.Well I do.Love to eat some fruit just out of the fridge on a hot day!Similarly I am presenting to you some fruity cosmetics today!Surprised!Well have a look at these products I ll be reviewing today. 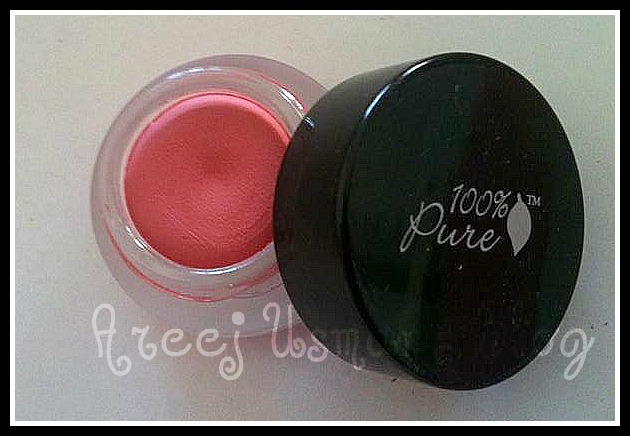 100% Pure are the first and only cosmetics colored from antioxidant rich fruit and vegetable pigments. While other color cosmetics are colored with either synthetic dyes or minerals, only 100% Pure Cosmetics are colored with fruit and vegetable pigments (patents pending)! All the antioxidants and vitamins are in the pigments, so you will be applying all the healthy nutrients of the fruits directly on your skin. This satin silky rouge for your cheeks to give you that healthy flush for color. 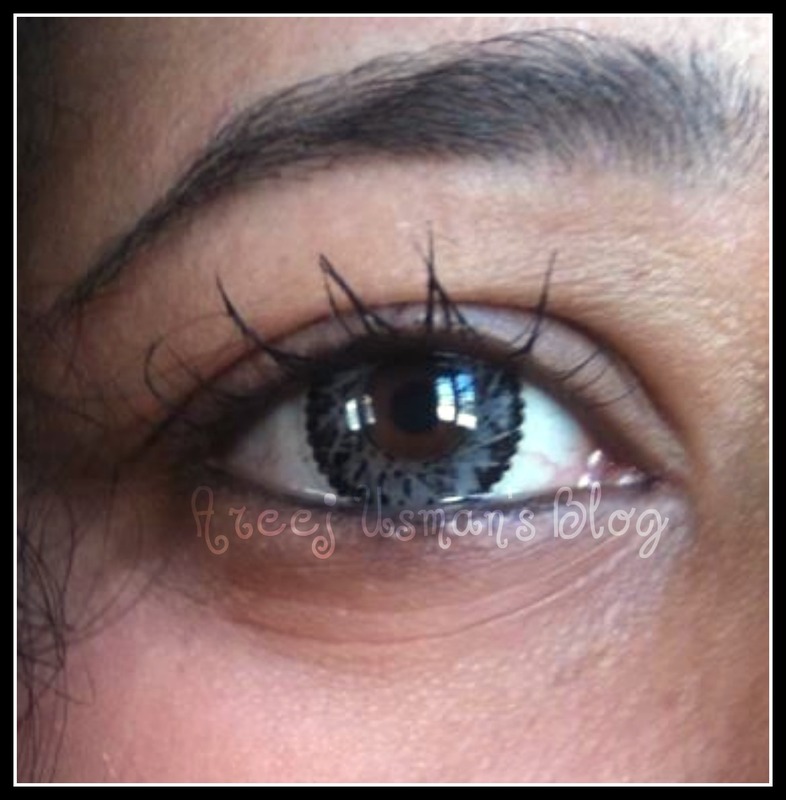 It can be worn on bare skin or on top of foundation, extremely blendable. Colored with 100% Pure’s patent-pending fruit pigmented technology.100% Natural formula is free of chemical preservatives, artificial fragrances, synthetic chemicals and are colored with the pigments from antioxidant rich fruits and vegetables. I loved this product at the first glance even when it was sealed.The packaging of the product is simply superb. The shade and the weight are mentioned at the bottom of the pot.There are 7 pretty shades available in pot rouge. 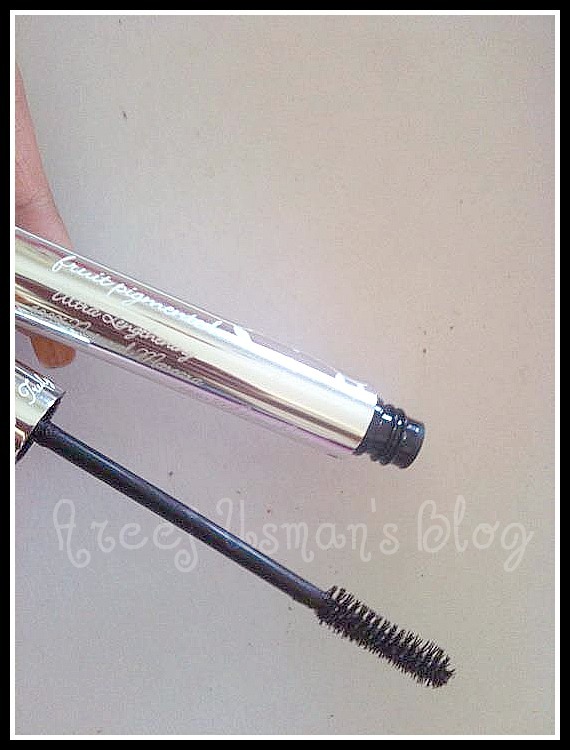 First of all the packaging.Its like the usual mascaras,comes in a silver classic looking container.I specially love the curled wand that it has.It specially helps to separate the lashes a bit and give a light coat that is quite Okay for an everyday look.It wont give your lashes that glamorous eye batting effect.But still as I said I would love to wear it with an everyday natural look. 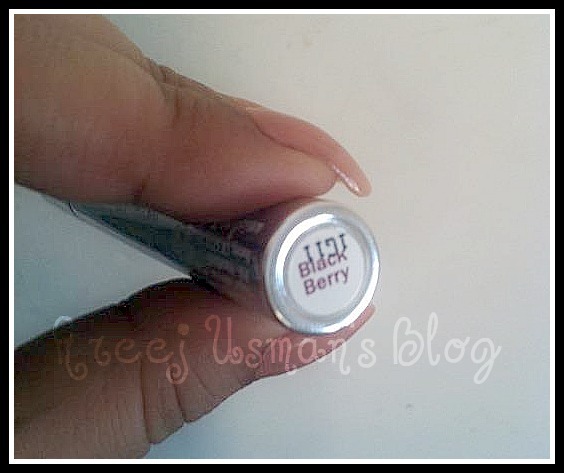 The fruit pigmented mascara is available in 4 different shades.Mine is blackberry. Its not actually black but on a little plum side.It doesnt appear plum on the lashes but if you look closely you will note that its not Black either. 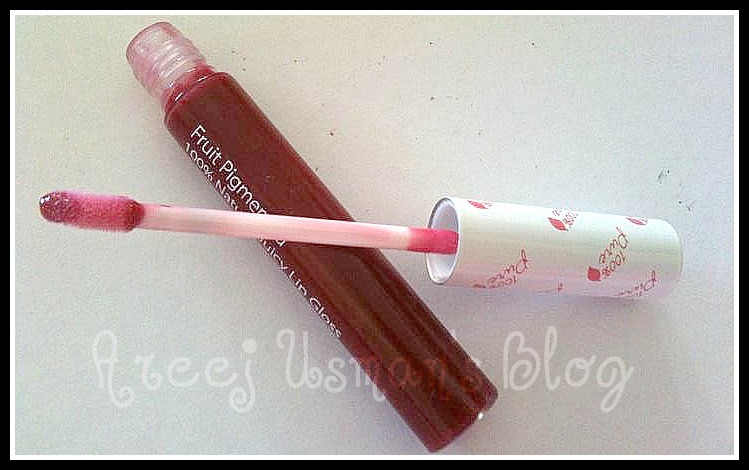 I fell in love with the heavenly fruity smell it has as soon as I opened it.The product is full of fruity ingrediants and looks very juicy and concentrated in the tube.I love the look of the gloss.As I am a lipgloss addict I am really happy to include this fruity lipgloss to my selection. There is a huge variety of shades to choose from on their website.The shades are mentioned at the lower end of the tube. 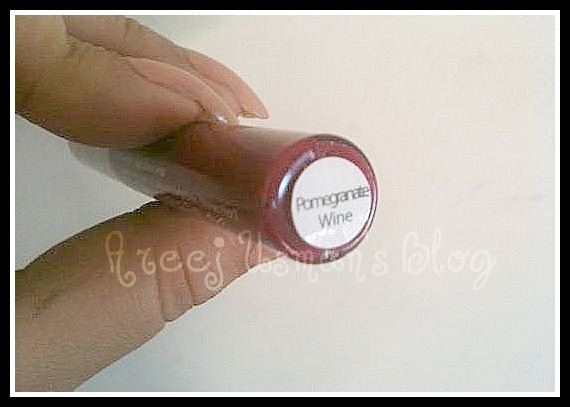 Though this is 100 % fruit product but I am amazed at its lasting power.Some usual glosses vanish after an hour or two and we have to reapply.But this beauty stayed on my lips around perfectly 2 hours without any lunch breaks.I love the way it turned out on my lips.Its look is sheer but its feel is lovely.The Vitamin E definitely keeps the lips hydrated and moisturised & I dont feel them drying. This is how the gloss looks on my lips. As I am already in love with the pot rouge and the lipgloss I would definitely recommend you to try out these products as they really stand out from the usual beauty industry cosmetics that we got around us.The best thing about them is they are natural so you dont have to worry about them harming your skin.They have got a big selection of skin care products as well besides cosmetics.I must say they are worth giving a try.Or else you wont know what you are missing out. For more details visit them here.You can also find them on Facebook & Twitter. I like the pot rouge, very pretty 🙂 <3 lovely review as always! I love 100% Pure, especially their Pot Rouge Blush and their Cocoa Bronzer! 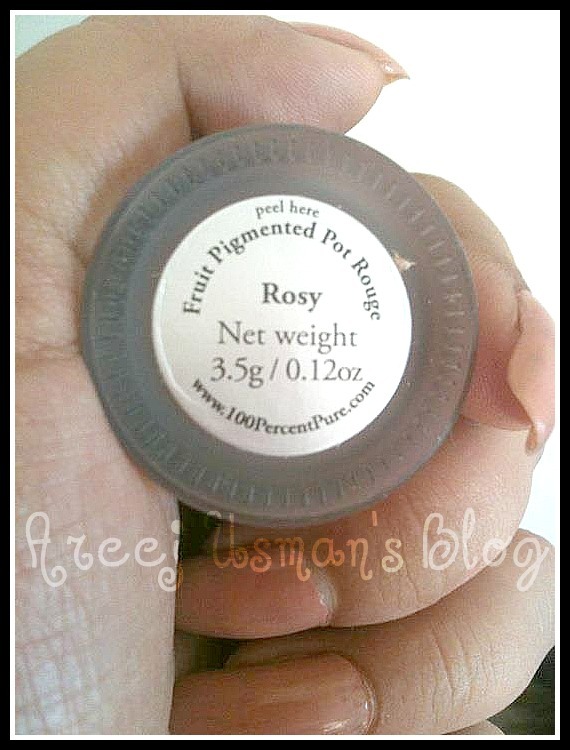 Rosy pot rouge is pretty! You have got a real nice blog sweets! 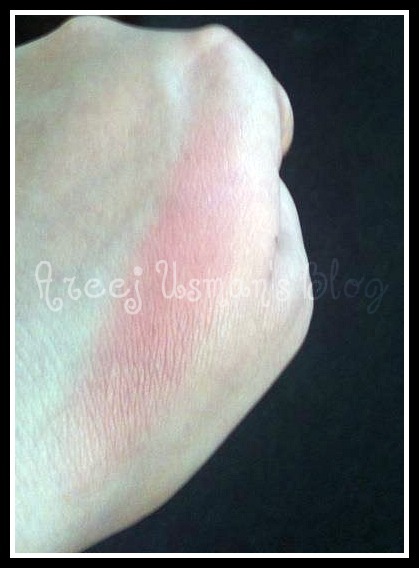 btw if you have got time do check out MAC lippie giveaway on my blog. Aoa. 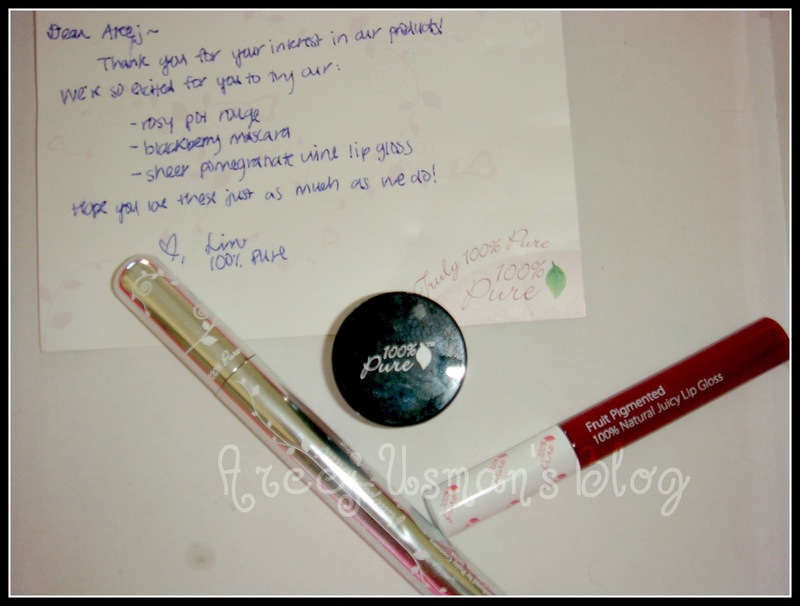 i liked ur review alot as i m always on hunt for vegan cosmetics. I want to know how can i get these cosmetics?